uploaded it 7 years ago. Ronyle still animating? If his old work counts for anything I look forward to seeing this in it's completion. Oh no its the return of Makar and the soft smiles of Princess Sunday! Ha, how nice to see "my" character again after so long. Mike has that "Grossed out/scared" look on his face. 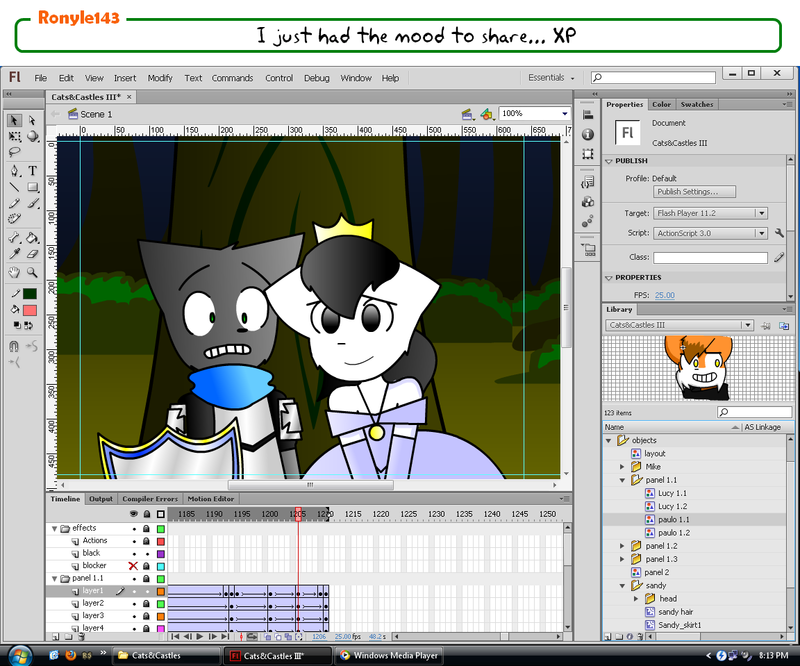 And I wasn't even planning to release the entire animation to the internet, its a school project, Jonny! And btw... I'm not the only one working on this project, there are 4 other people helping me. Ronyle, you have to show it off now, its like, required. Release it to the internet! It will live forever and we will love you for it! Yes, it's like, a law of the internet or something. If you don't share it the internet police will arrest you.